All discussions with our clients commence with analysis of your personal, lifestyle and financial goals. For a no obligation discussion with one of our financial advisers please contact us on 03 9188 4254 or email invest@nextlevelfinancial.com.au to book an appointment. Start your Financial Planning Journey now by taking a short Financial Survey! 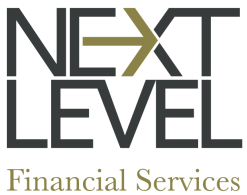 We have a new telephone number for Next Level Financial Services as at 15 June 2017 - 03 9188 4254. The old telephone number will be redirected to our office. You may have recently been reading about the report prepared by Commissioner Hayne following the Royal Commission into the Financial Services industry. The hearings covered a wide range of issues, including financial planning, and the report will change the landscape of the industry and the manner in which advice is provided. ​ To view a summary please go to our news page.